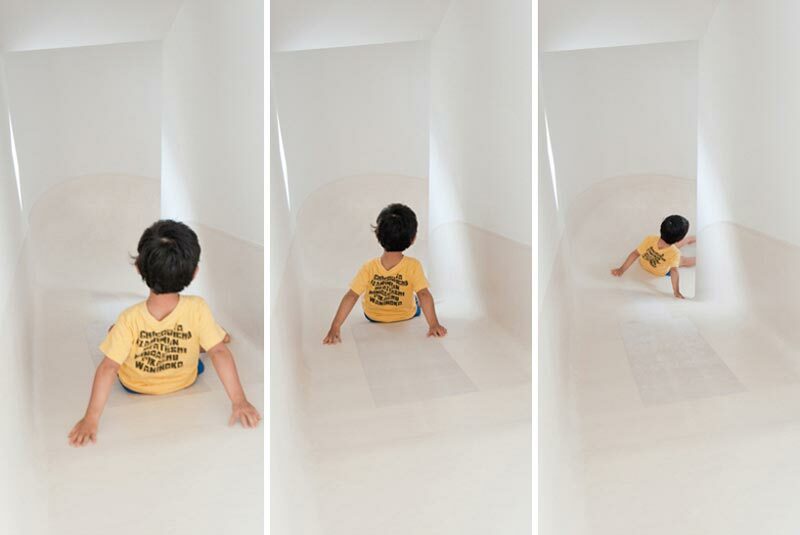 You may be a parent who 'lets things slide,' but the mom and dad of three young children living in the 'House with Slide' in Tokyo, Japan take the concept to a whole new level. Designed by Level Architects, this three-story, literal fun house features a slide that connects all three floors -- and as if that weren't enough, the architecturally adventurous abode also boasts a ball pit in a sunlit courtyard! A staircase leading to the slide ascends on one side of the house, while the slide wraps around the remainder of the rectangular structure. The architects’ and the homeowners’ main intent was to construct a home in which the children could create many a lasting memory. While the design may not be green, there’s no doubt that the family saves energy stair climbing by opting to hightail it down the slide at every turn. A staircase leading to the slide ascends on one side of the house, while the slide wraps around the remainder of the rectangular structure. Going up? Going down? Here's how Level Architects planned out the sliding and stair climbing for the three-story home. The architects' and the homeowners' main intent was to construct a home in which the children could create many a lasting memory. While the design may not be green, there's no doubt that the family saves energy stair climbing by opting to hightail it down the slide at every turn. Plus, the home was constructed to take advantage of natural light. Openings in the roof and a courtyard in the middle of the home with sliding glass doors let daylight enter the space. Kids can climb up the stairs and the slide down into the living room. But this house isn't all fun and games -- kids can also slide to the library for learning. 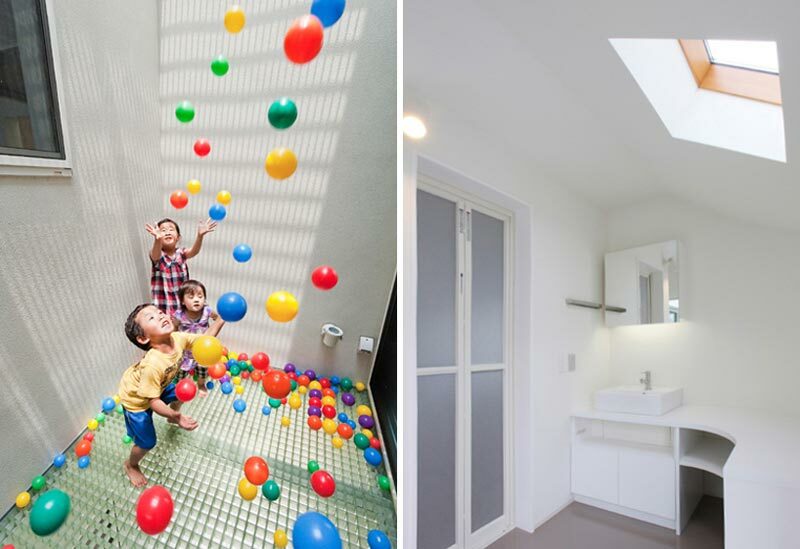 Slide aside, the ball pit in this playful house is a feature many kids dream of. Every corner of this home is built with unique features and surprises to delight kids and adults alike.